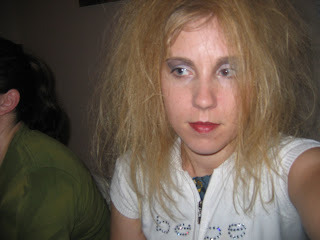 While in China my friend Niko decided to tease my hair into a huge fro. It was really cool looking. He did it on the bus and in the middle of a busy square. The Chinese people gathered around and stared. One woman had a look of horror on her face as she watched. It was really fun. 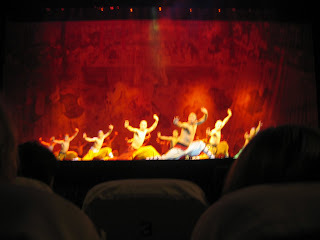 We saw a Kung fu show that was fabulous. If it ever comes to broadway I'll be the first to buy tickets for my family. Pretty much the only good looking guys we saw on this trip were performing at this show. Two words, Chinese men: protein powder. 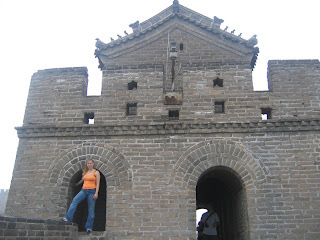 The Great Wall of China, the scenic highlight of the trip for me. It was breathtaking. 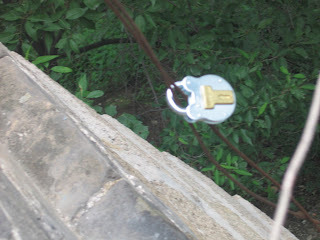 While in America I heard that you can "lock your love" on the Great Wall of China. So my husband and I went to the store to buy this (and got in a huge fight while in the store ha ha). But the part of the wall we were on didn't have the chain link to lock it to. So I climbed to the other side of the wall to chain our lock to this cable. 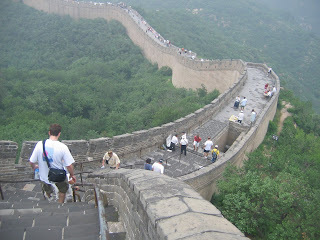 A Chinese guy had to help me get back onto the wall because the ledge I was standing on was so far back. what an amazing trip! glad I got to meet you and we could teach each other a thing or two. love the hair!